Consultants for the Asian Development Bank are to recommend at least six dams for further study. Local communities are excluded from the process. The Asian Development Bank’s latest move into hydropower development in the Mekong Region is to fund a “sustainable development plan” for three Mekong tributary basins, that will recommend at least six hydropower projects for further study. Local communities are being totally excluded from the ADB’s project to subsidise the dam building industry. A study currently underway will recommend further studies leading to the construction of a further six dams in three of the most important Mekong tributary basins in Cambodia, Laos and Vietnam. The Asian Development Bank (ADB) funded Se Kong-Se San and Nam Theun River Basins Hydropower Development Study commenced in 1997 and will be completed in September 1998. The Se Kong, Se San and Nam Theun rivers together contribute approximately 20 per cent of the Mekong’s annual flow volume, contain some of mainland Southeast Asia’s most biologically diverse ecosystems, and are home to many thousands of communities, including ethnic minorities and Indigenous Peoples. The study is the latest in a series produced since the early 1960s promoting a development model based on large hydropower dams, which threaten to undermine the integrity of the ecosystems and the livelihood security of local communities. In total, these studies propose around 37 potential dam sites in the Se Kong, Se San and Nam Theun river basins. Two dams are already under construction in the Se Kong and Se San basins — the Yali Falls in Vietnam and the Houay Ho in Lao PDR — and Memoranda of Understanding (MoU) have been signed between the Lao Government and private developers for three more — Xekaman 1, Se Nam Noy/Se Pian, and Se Khong 5 (all in Laos). On the Nam Theun, one dam is under construction (the ADB-funded Theun Hinboun), the proposed Nam Theun 2 dam project is awaiting the World Bank’s decision on whether to provide financial risk guarantee, and MoUs have been signed for two more (Nam Theun 1 and Nam Theun 3). Reservoir area logging and “anticipatory” resettlement of communities is occuring at at least two of these dam sites, Nam Theun 2 and Houay Ho. Dam projects already at or beyond feasibility stage are considered not to require further analysis as part of the Se Kong-Se San and Nam Theun Study. The cumulative impacts of these existing dam projects on communities and their environment and the downstream impacts on the Mekong River, the Tonle Sap and the Mekong Delta will be effectively ignored. In fact the terms of reference for the study states that the aim is to “ensure that environmental and social impacts from one project now will not adversely affect a better project in the future”. The ADB’s aim is to determine a sequence for the construction of dams, not to question whether any of these rivers should be dammed. The Inception Report: Whose aid? 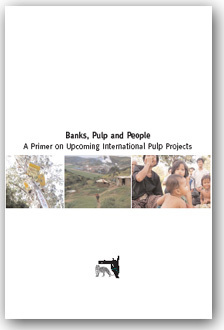 In April 1997, Sir William Halcrow and Partners Ltd., the UK engineering consultants, (see box: Halcrow) in association with EPDC International (Japan) and MK Centennial (USA) produced an “Inception Report” on the Se Kong-Se San and Nam Theun River Basins Hydropower Study for the ADB. The Inception Report is the first step in the 21 month study (see box: A dam builder’s timetable). The Inception Report makes clear that the purpose of the study is to prioritise for “further study” six dam sites from the 37 dams previously proposed for the three river basins in a series of studies since the 1960s. The study is divided into two phases. Phase One consists of two stages, the “inception stage” and the “interim stage”. The inception stage involved a review and assessment of available information and identification of additional data required. 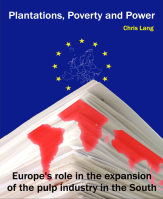 The interim stage is now underway and involves carrying out “engineering, environmental, sociological, economic and financial evaluations of projects and development plans which have been identified by previous studies”. Phase Two will consist of more detailed analyses on the selected six hydropower projects, including writing terms of reference for feasibility or pre-feasibility studies on the selected projects. Financing for the study is in the form of a US$0.5 million grant from the ADB, and a US$2 million grant from France under the Channel Financing Agreement between the French government and the ADB through which the ADB proposes projects for funding by the French Government, the funds administered by the ADB. The immediate benefits of this “aid” are not the local communities living in the three river basins, but highly paid international consultants to the dam building industry. Of the total US$2.5 million cost of the study, US$1.4 million will go directly on international consultants’ salaries. Excluding per diems and travel, the 22 international “experts” hired by Halcrow will be paid an average of almost US$18,000 per month of work on the study. In fact around 75 per cent of the total US$2.5 million will be spent outside Laos, Vietnam and Cambodia, on international consultants, travel, equipment and administration. The Halcrow study follows on from the 1994 study by the Norwegian consultants, Norconsult. Norconsult’s Subregional Energy Sector Study was produced for the ADB, and its objective was “to identify possible projects which can be implemented through bilateral or multilateral cooperation.” Norconsult recommended several further studies including the Se Kong and Se San river basins and the Nam Theun river basin. Rockett directly contradicts Norconsult’s 1994 report funded and approved by the ADB and which states that its “major objective . . . has been to identify possible projects which can be implemented through bilateral or multilateral cooperation”. This predetermined conclusion promoting dam construction is a consistent feature of the dam studies produced for the Mekong Region over the last 40 years for the Mekong Committee and its successor the Mekong River Commission. Such is the focus on hydroelectricity that the studies are produced in a political and social vacuum, the consultants being oblivious to the realities of the political situation in the region. Studies in the 1960s and 1970s were conducted despite the Second Indochina War, and despite the political and practical impossibility of building dams in the region at the time. The assumption that Thai electricity demand provides a reliable market for electricity produced from hydropower dams in Laos and Cambodia underlies Halcrow’s study, yet this assumption is not based on the economic realities of the region or on any studies of the other options available for electricity generation and supply in Thailand. The Halcrow Study is a non-participatory study being added to a mountain of studies written over the past 40 years. These studies were conducted at desk level in offices in Bangkok, Amsterdam, Oslo and London, and far from the local communities living in these river basins. By the end of the first phase of Halcrow’s study, nine consultants will have spent a total of five months “in the field”. The majority of these field studies are by technical “experts”. 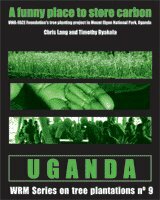 However, during their total of seven weeks in the field the socio-enviromental team is expected to develop a “mechanism to promote participatory consultation and involvement in the analysis of environmental and social impacts by both the communities directly affected by development, and by external interests such as involved governments, NGOs, and other experts,” according to the Inception Report. In other words, the foreign “experts” will select the six dam sites, and then inform the people who live in these areas. For communities whose land, forest and fields are to flooded, as well as fisheries destroying this process leaves few options. During the second phase a total of only five weeks will be spent in the field, two weeks by technical planners, and three by the social anthropologist. According to the terms of reference for the Halcrow study, written by Norconsult, for the ADB, “During the course of the study, a number of workshops will be held to discuss key issues of the study and also to strengthen skills of counterpart staff of concerned countries, in hydropower planning and related aspects. Some of the workshops will be devoted to discussions with nongovernmental organizations and vulnerable groups regarding issues such as project locations, resettlement alternatives, and consultative mechanisms.” The workshops will not allow discussion of whether large scale hydropower is the most appropriate form of development for these river basins. The ADB opened a representative office in Phnom Penh in December 1996. Watershed visited the office in late July 1997 to ask ADB resident representative Someth Suos about the workshop and to request a copy of the Inception Report. Suos stated that he did not know the present status of the study, and that there was no copy of either the Inception Report or the Working Papers produced for the workshop in the ADB office in Phnom Penh. 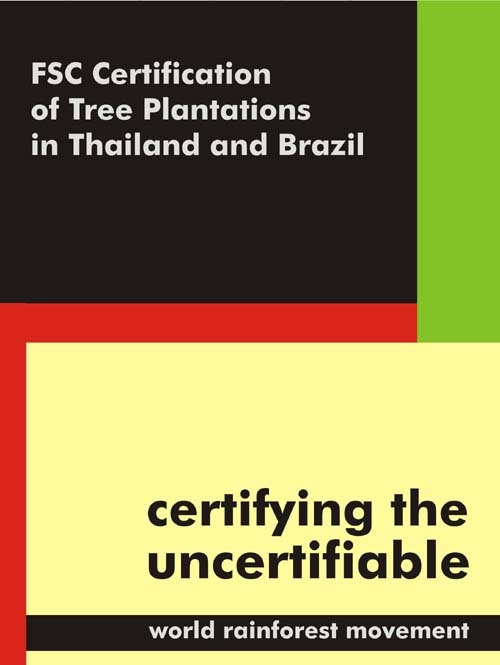 Since 17 May 1997, Towards Ecological Recovery and Regional Alliance (TERRA) has written four times to the ADB and the MRC requesting copies of the Inception Report, and the papers produced by Halcrow’s consultants for the Workshop in Phnom Penh. When the ADB finally sent TERRA a copy of the Inception Report more than four months after the first request they explained that “the delay was due mostly to absence from headquarters of concerned project staff”. As of 20 November 1997, the Bank has still not sent TERRA the documentation relating to the Phnom Penh workshop. Around 180 references are listed at the end of the Inception Report, many of which are studies of potential hydropower projects in the Se Kong, Se San and Nam Theun River Basins. None of the studies by dam proponents, consultants or funders indicate the involvement and participation of the communities living in the river basins. Each study relies on the previous studies. 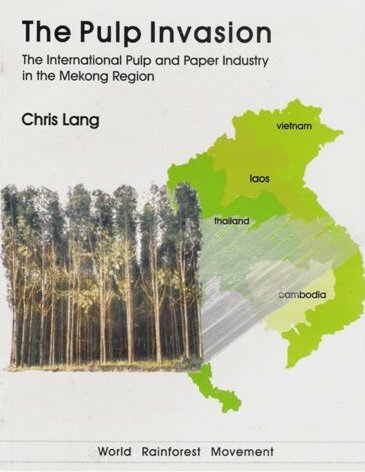 For example, the Dutch consultants WATCO in a 1984 report for the Mekong Secretariat on possible dam projects in the Mekong basin, state: “All projects were studied at desk stud [sic] level only and the description of these projects is based on the Secretariat report of these studies.” The “Secretariat report” referred to was produced in 1970, at the height of the Second Indochina war, when access to the proposed dam sites was impossible. Norconsult’s 1994 Subregional Energy Sector Study describes the Se Kong Basin as “almost unpopulated” and states that apart from its upper reaches in Vietnam, the Se San Basin is “virtually uninhabited”. These statements are identical to statements in WATCO’s desk study carried out ten years earlier. In fact, Stung Treng and Ratanakiri province alone are home to 120,000 people according to a 1994 Cambodian government census. Despite spending millions of dollars over the past 40 years studying the possibility of building dams on the rivers of the Mekong Region, the dam builders, their consultants and the ADB know very little about the region, its ecosystem and its people (see box: To be ignored: A voice of reason?). The company named Sir William Halcrow and Partners Ltd. was founded in England in 1860 and employs over 2200 people with about 50 offices worldwide, including registered offices in Malaysia, Indonesia, Vietnam and Hong Kong. Halcrow has been involved with the design and supervision of construction of dams for the last 70 years, and has planned hydropower projects in Sri Lanka, Nepal, Bangladesh, Malaysia, Indonesia, the Philippines, Papua New Guinea, Australia and Hong Kong. Other projects include: transportation projects in Thailand, Malaysia, Australia and Vietnam, flood management in Bangladesh and UK, a nuclear power project in Hungary, and is advisor to the UK government on its controversial road-building programme. To be ignored: A voice of reason? No NGOs or community representatives were at the workshop to discuss any of these concerns. Cross made several presentations during the workshop, but none of these points are documented in the Inception Workshop Report produced in May 1997 by the ADB and the MRC. 1. 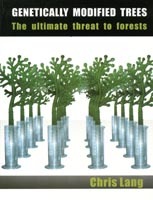 The title as published in Watershed was “Se Kong-Se San Nam Theun: Too many studies”. Thanks to Matthew Grainger for contributing an interview with Tim Sabben-Clare of Halcrow, to Kate Geary and Andrew Nette for interviewing Someth Suos, the Asian Development Bank’s representative director in Phnom Penh, and again to Kate Geary for interviewing Khy Taing Lim, Vice chair of the Cambodian National Mekong Committee.